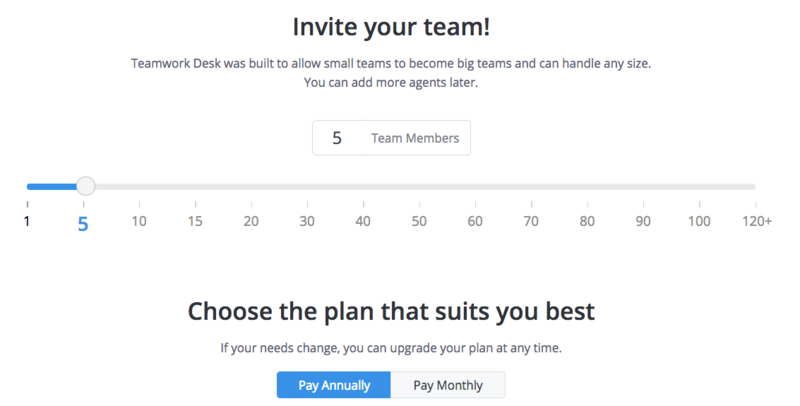 Within Teamwork Desk, you can switch between subscription plans via your billing settings. Click your profile icon in the top right corner of your Desk account, and select Settings from the dropdown menu. Note: Any administrator on your Desk site can access the Settings area. In the settings area, go to the Billing tab. Select Subscription from the left pane. 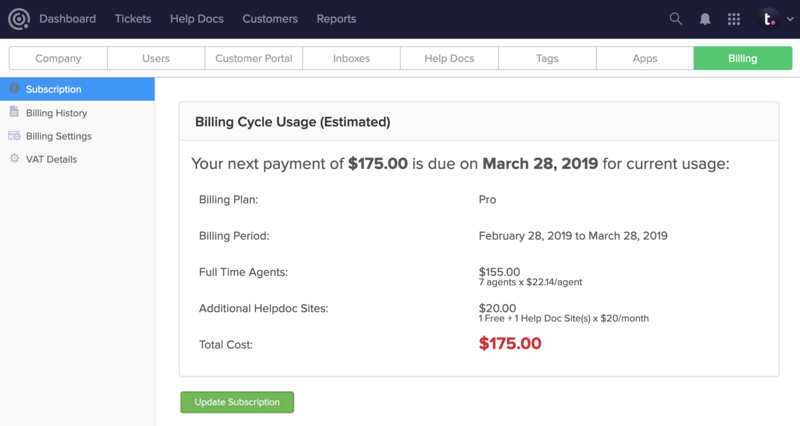 Below your billing cycle summary, click the Update Subscription option. 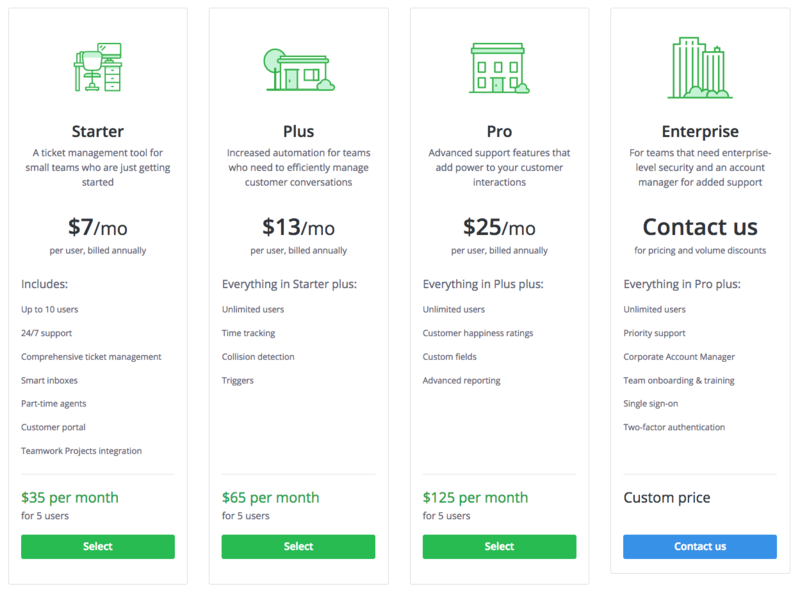 In the subscription area, you choose which plan you want to switch to and whether you want a monthly or annual subscription. You can also update the size of your team. 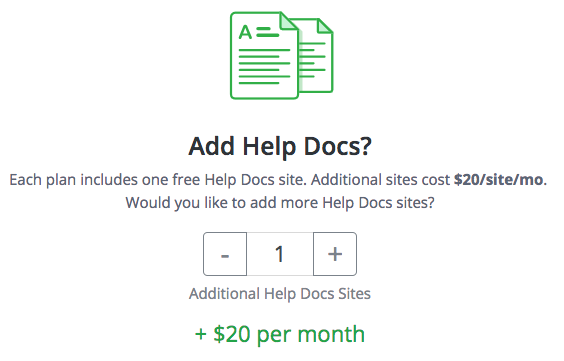 Below the plan options, you can also add additional help docs sites to your subscription. 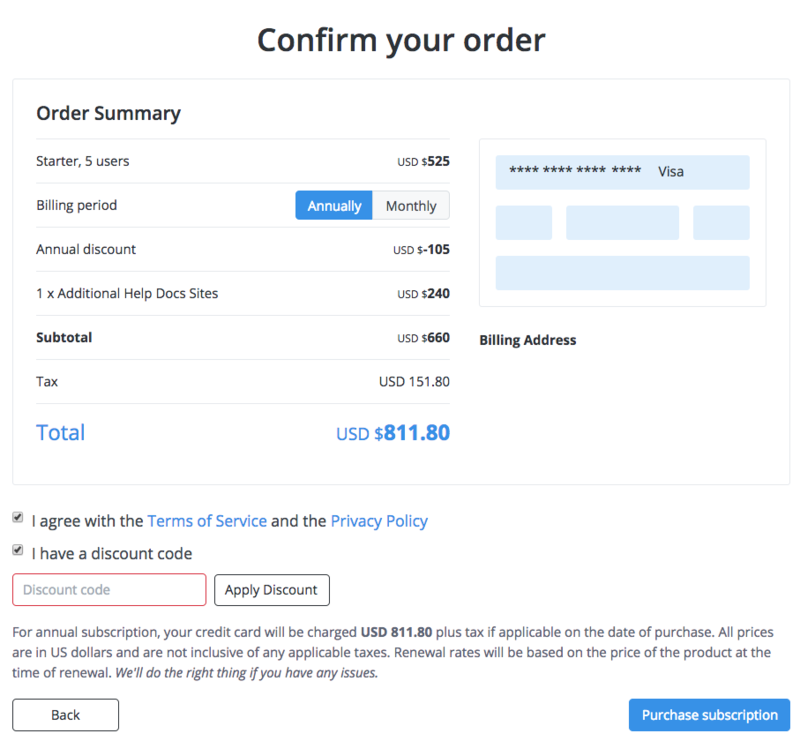 Once you have set your subscription preferences, click the Add Payment Details option to proceed. You will then be asked to confirm payment for the new plan. Click Purchase subscription to complete the payment.